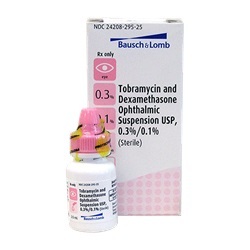 Sterile Tobramycin and Dexamethasone 0.3% - 0.1% ophthalmic drops in a 2.5ml dropper bottle. 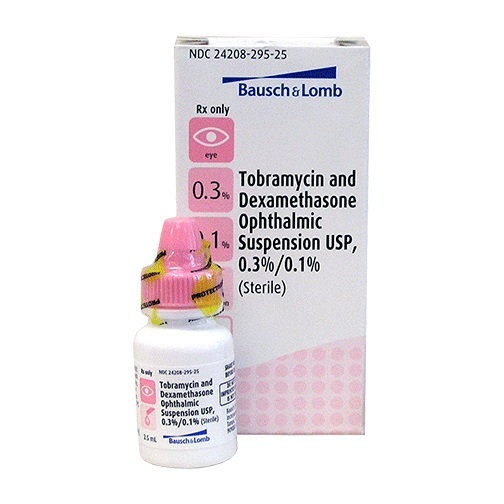 Manufactured by Bausch and Lomb. NDC: 24208-295-25. Comes as singles.